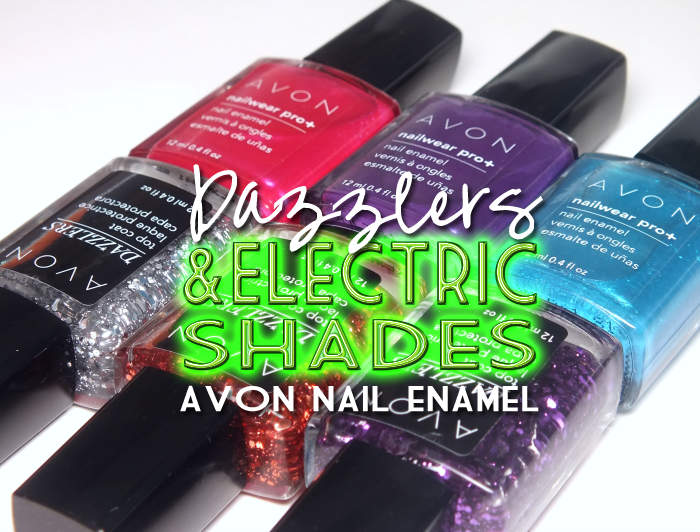 It feels like it's been a little while since Avon has given us new polish, but they've been busy as they'll soon have not one, but two new additions- Dazzlers Top Coats and Electric Shades. 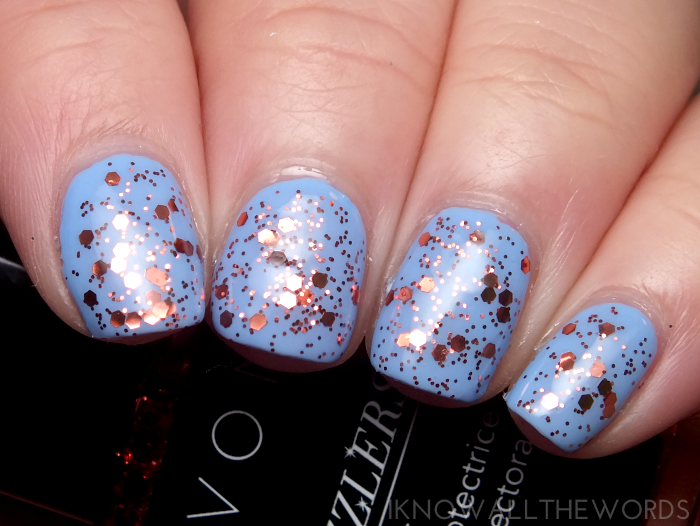 Glitter and vivid shimmery goodness for all! Read on for a look. 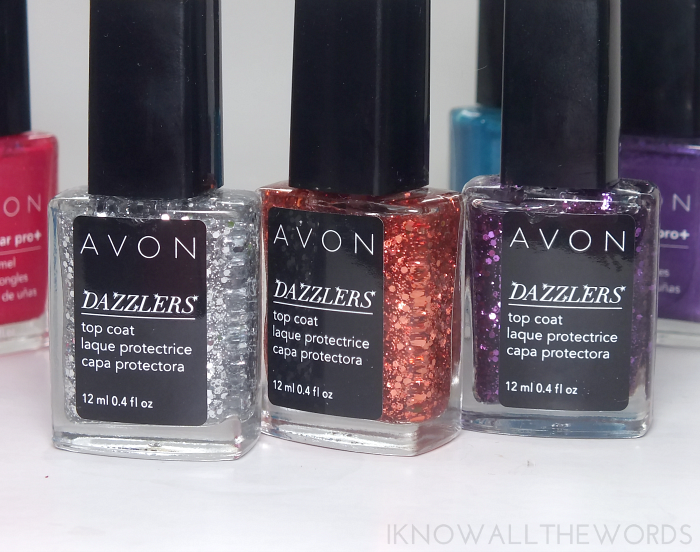 Avon Dazzlers Top Coats are just that- top coats loaded with dazzling glitter (sorry, couldn't help myself) The top coats all have a clear base loaded with a single shade of small round and medium hex shaped glitter. The range includes five shades- I'm missing Glitzy Gold (gold) and Bling it on Blue (blue) which aren't super unique, but I actually have really enjoyed the copper and purple as I don't have any plain glitters in either shade. 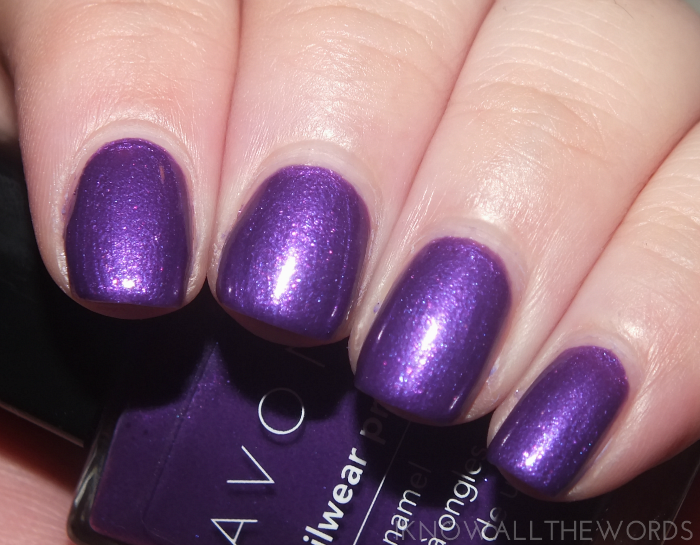 I'm a little bit obsessed with Va Va Violet over pale purple as it has a kind of speckled look. 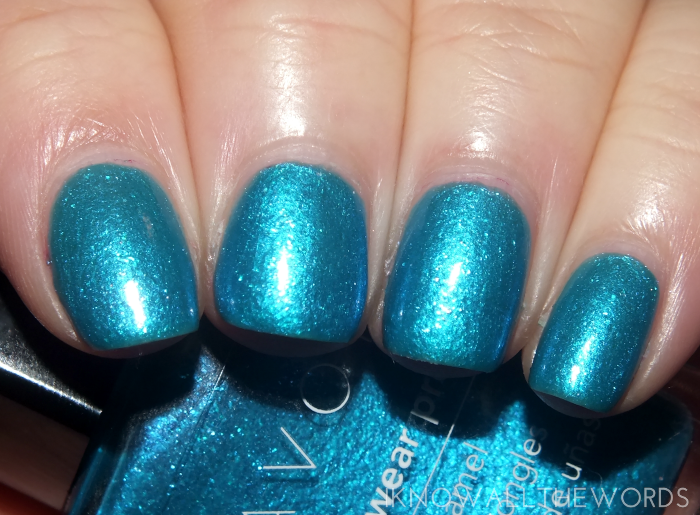 But, Showstopper Copper does look amazing over mint or paler blues... Anyway, great staple additions if you happen to be a lacking in the glitter department. 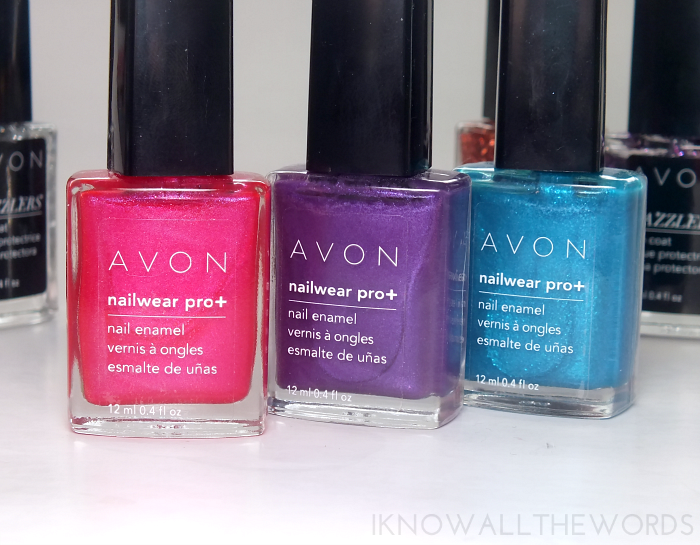 Avon Electric Shades bring on Summery vibes with their bright hues and shimmering finish. The finish is a bit of a mash up of shimmer, foil, and glass fleck look with an inner glow that is pretty hard to resist. The four shade collection (I'm missing Saucy a golden yellow) includes Hottie, a hot pink, Reckless, a vivid purple, and Vibe a turquoise-blue. 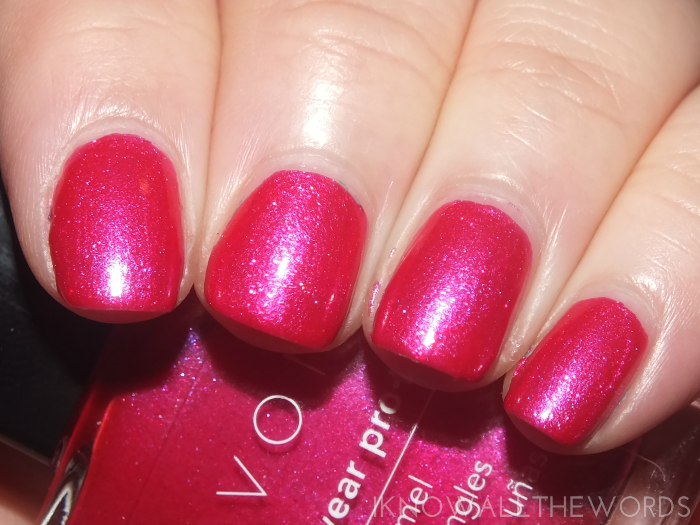 The formula was a little bit sheer on the first coat, but built up really well and in the end only need two coats for perfect opacity. Overall, some fun shades! While the glitters, as mentioned, aren't super unique I am really feeling the copper and purple. The Electric Shades will be great for warmer weather- ooh, especially for pedicures! Like any of these shades? Need to add any to your collection?